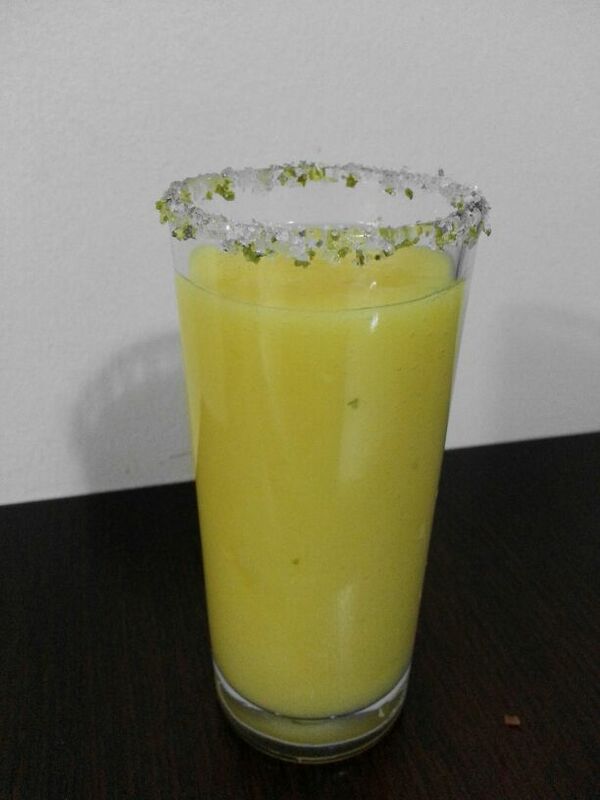 I came across this recipe for non alcoholic Mango Margarita and made it for iftar today. It tasted really good and interesting. 1. Blend togetger mango cubes, sugar, lime juice, sprite and uce cubes to a smooth puree. Be careful not to fill the blender jar and not to over run the mixer as the sprite may go crazy. 2. Mix sugar and lime zest in a small plate or bowl. 3. Dip the serving glass rim in the mango margarita. 4. Now slowly move the rim over the zest and sugar mixture to cover the rim of the glass. 5. Pour the Margarita in the glass almost till the rim.